Was leaning towards trying butra with hazard, Bale and silva in behind him but not sure, any recommendations on who to try with around the million mark? Really how much roughly are there prices at? Not sure on best though as I can't really get on with 433 this year, but Bergkamp sounds interesting! Best around 850k, Bergkamp around 900k atm. Will drop more. Get Begkamp is all I can say. I bought him a bit too soon but he's worth every penny I paid for him. Really want to try him but I don't know if it's worth having a poor squad around him, wouldn't do him justice? 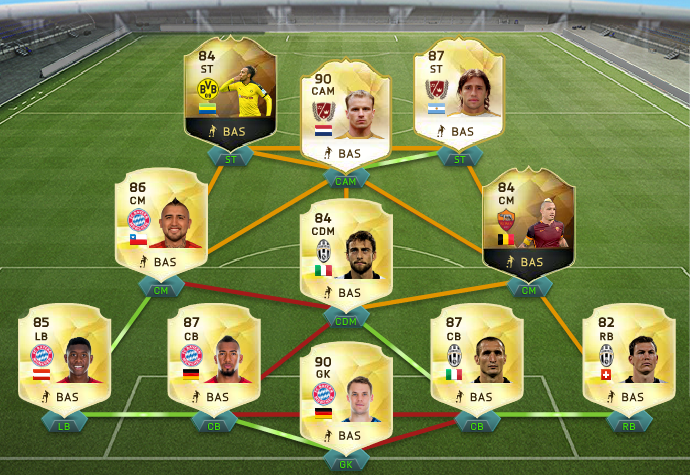 I'm leaning towards stoichkov up top and a decent squad behind him possibly one cheap legend in there. Do you think the Bergy squad with cheaper players would be better? Kluivert is the only legend I've had for a decent period (50+ games) and he's just incredible for me. I play him in both my teams, neither of which are that expensive. Neymar is the only other expensive player I have really. 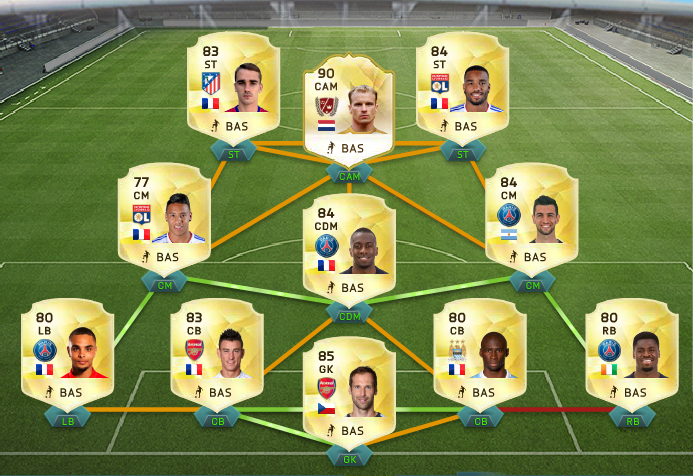 Im using Bergkamp in 2 cheap squads atm (drop the IF's ofcourse ) and it works like a charm. 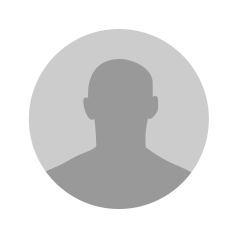 Atm he is at 27 games with 23 goals and 13 assists. 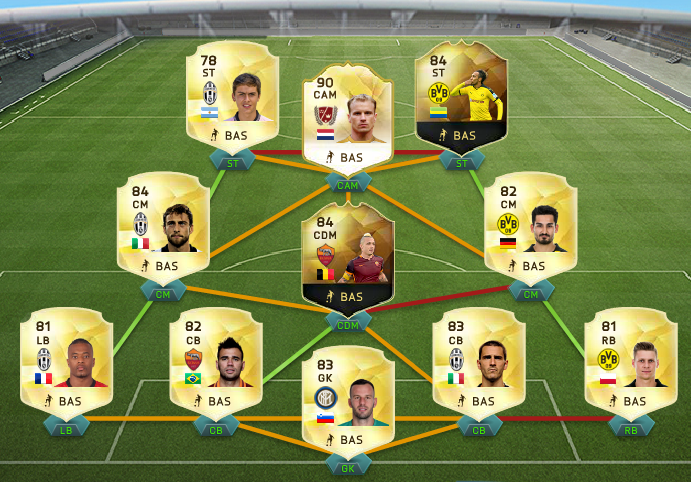 Here are the two teams he's currently in and the third one is the topsquad he will be in when I can afford Crespo. Once the winter upgrades are done I'll sell Auba and get Kluivert for him. 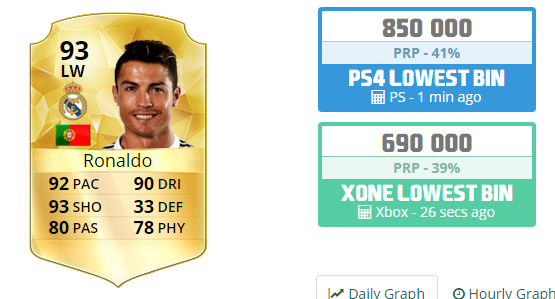 Regular Ronaldo is **** this FIFA. Not tried him this year, didn't really like his card last year. Plus I like to use lm and rm with decent passing stats, he'd be wasted in my play style.